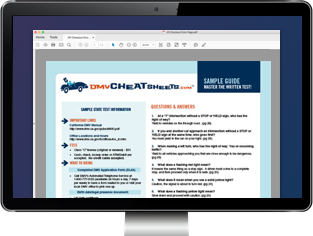 The Louisiana Office of Motor Vehicles (OMV), offers several driver and vehicle-related forms online, though some you may have to obtain in person. Below, you'll find many OMV forms available for download. If you can't find the form you need or need help completing one, call the LA Office of Motor Vehicles at (225) 925-6146 or visit your local OMV agency. If you're looking for manuals, head over to our driver handbook and motorcycle manual pages. Most of the forms available online are in PDF format. This means you'll need the free Adobe Reader software to access the forms. The OMV may require you to undergo a medical exam and submit this form before issuing your Louisiana driver's license. Must be completed by a doctor. The Louisiana OMV requires certain driver's license applicants to submit this completed vision exam form. Must be completed by an optometrist. Submit this form to the Department of Wildlife and Fisheries if your boat required an inspection for registration in Louisiana. If you're the heir/surviving spouse, use this OMV form to request ownership of a vehicle belonging to a deceased person in Louisiana. LA Department of Wildlife and Fisheries application for a new, transferred, OR duplicate boat title OR motor title. As part of registering your boat in Louisiana, present this form to certify you've paid all required taxes on the vessel. Submit to the LA Office of Motor Vehicles to add a lien to a vehicle title you're applying for. Not available online. Must be obtained from the company providing the lien. Medical exam form you must provide to the Office of Motor Vehicles when applying for a LA commercial driver's license. Must be completed by a physician. Certain commercial drivers must carry this completed medical certificate with their CDL. Must be completed by a medical professional and approved by the OMV. Use this OMV form to self-certify as an interstate OR intrastate excepted OR non-excepted commercial driver. Submit this form to the Louisiana OMV if you're applying for disabled license plates that will be affixed to a car registered in someone else's name. Looking for OMV Forms in another state?